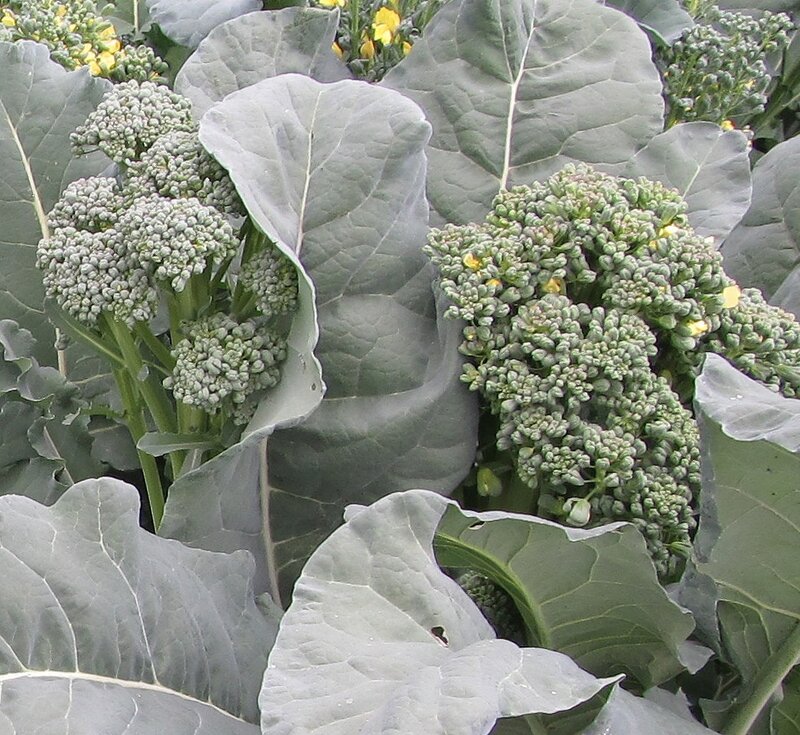 Brazilian broccoli makes many modest flower stalks rather than one massive bloom. Our farmers market customers who try it often return to buy seeds, saying it’s the best broccoli they’ve ever eaten. The other reason Piracicaba is the only broccoli we grow is its phenomenal vigor and productivity. As long as you keep harvesting its flower buds, it will keep making more, even through hot summer weather. The taste remains mild and sweet in hot weather too! The first time we grew Piracicaba (btw, it’s pronounced pee-ra-SEE-ca-ba) we started harvesting in June. We had a steady supply all through the summer heat, all fall, all winter inside a hoop house. I finally pulled up the plants the next April to make room for something else. They were rather floppy by then, and beginning to harbor some aphids, but they were still producing. The variety was developed at Brazil’s oldest agricultural university, Escola Superior de Agricultura Luiz de Queiroz, in the interior city of Piracicaba. The broccoli and the city are named after the Piracicaba River. Culture: Sow seed from early spring to mid-summer. Each plant can become a sprawling mound 3 feet tall and wide, so give it room. Likes rich soil (of course), regular water, full to 3/4 sun. Harvest all flower stalks at bud stage to keep them coming. This sprouted in 2 days wow!!! Thanks I like your seed packet delivery its unique and functional.will be back.! !